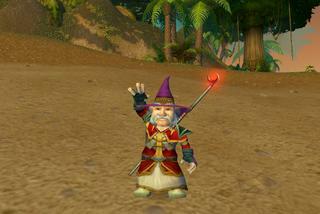 Clay is a Gnome Mage who just reached level 41. I made that robe, I think Clay is a snappy tailor. He's been known on occasion to cook up a curiously tasty omlet. Mostly he puts "the heat" on the bad guys, incendentally, with fire. There's some 3 and a half million people worldwide playing this game, a few thousand players is the average for the server I'm on (Llane). It is my first MMORPG and although I started out a "n00b" i like to think I have grown into something resembling "l33t" over time. The other players are pretty normal folk, most are friendly and helpful although it takes all kinds. It's totally fab and it even runs on os x. Now I need to find a way of making gold fast so I can finally buy my robot chicken.